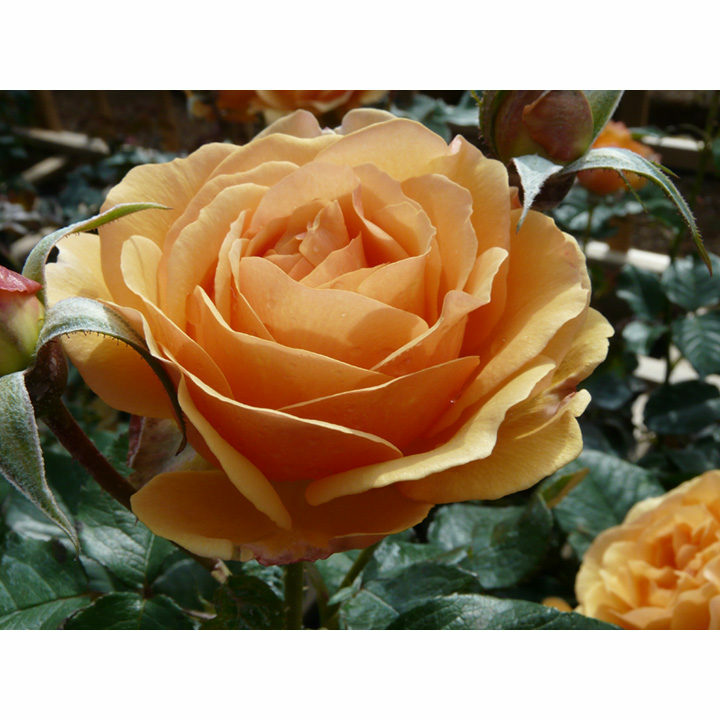 One of our most admired roses. Well-sized blooms and bronzy young foliage offer balance and style in the garden. Colour - golden amber. Scent 6. Height 75cm. Ideal for beds and borders. Scented. Suitable for cutting. Prefers full sun or partial shade.